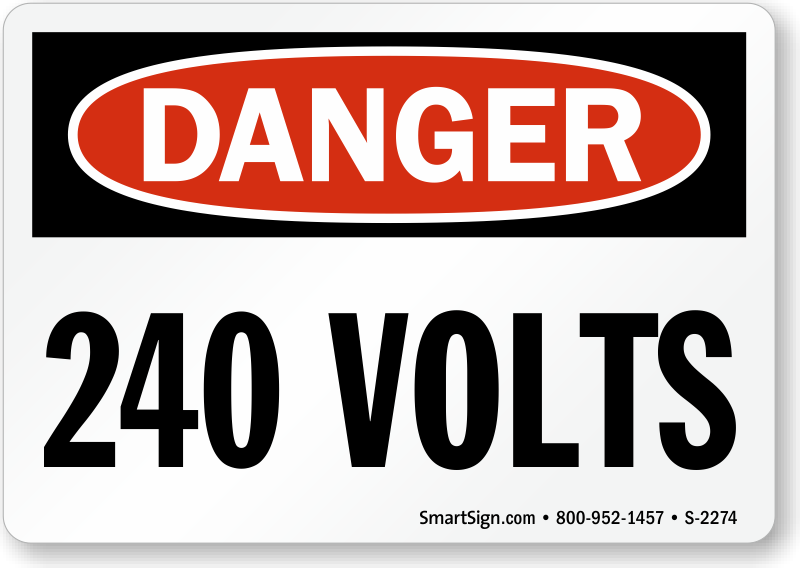 240 Volts signs and labels enable you to inform workers of the voltage needed to run electrical devices. By this means, you can prevent accidents and damage to your electrical equipment. Choose from a range of voltage markers in different sizes. 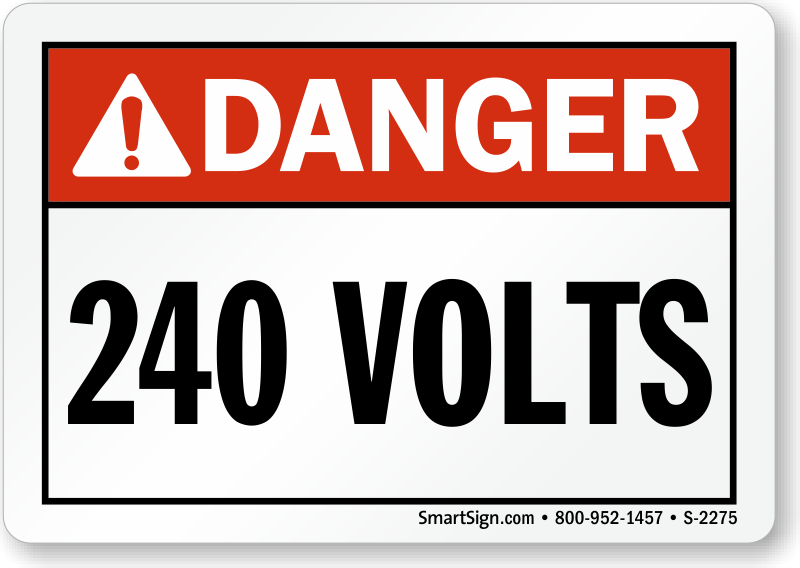 Markers are suitable for quick identification of power lines, bus ways, fuse boxes, switches, electrical equipment, and outlets. 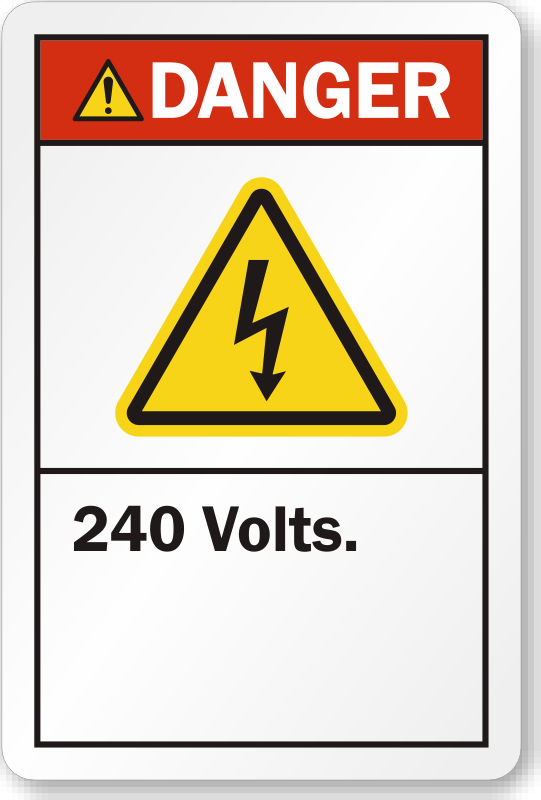 • Snap on voltage markers are made of pre-coiled semi-rigid vinyl. • Markers printed on 4 mil thick vinyl with heavy permanent acrylic adhesive backing. 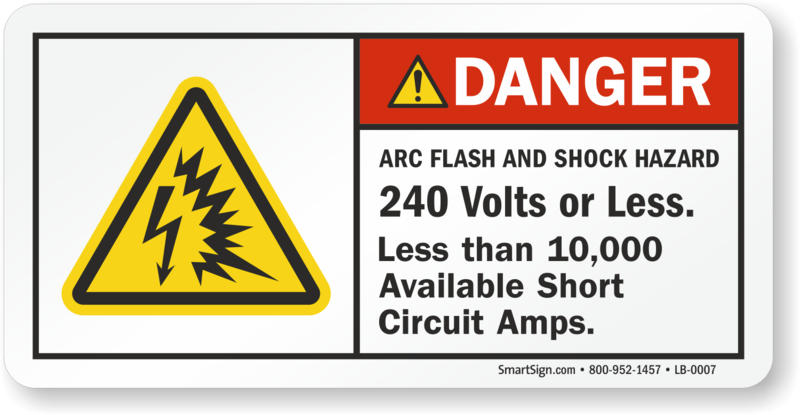 • Smaller safety labels can be used on a greater range of locations. 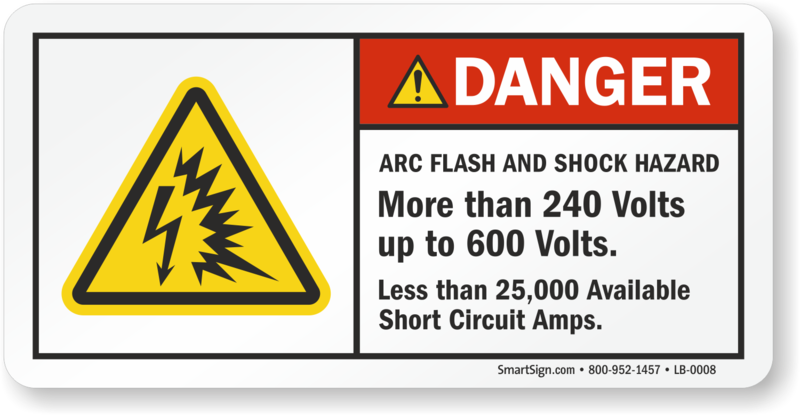 • Volts signs and voltage marker books available.